Remember when you were a kid who couldn't wait to grow up? You were going to live by your own rules, stay up till whenever and eat as many cookies as you damn well pleased. When you finally ventured out on your own, though, you were bombarded with a job, bills and all the responsibilities that come with adulthood. Consequently, you may occasionally find yourself feeling a sense of nostalgia, a longing for that carefree life you may have taken for granted. Now, turn your attention the 2013-'14 Penguins, a club that (once again) finds itself among the NHL's elite. But, despite the fact that Pittsburgh continues to make a mockery of the initial race for the Metropolitan Division crown, it's not enough for many fans. For some, nothing short of an extraordinary playoff run will put the stamp on a successful campaign. And, to an extent, maybe that's fair. After all, four consecutive disappointing postseason showings have the Pens' faithful craving more. It's almost absurd to consider how many Art Ross Trophies the Penguins have collected over the years. With the award coming to Western Pennsylvania 14 times since 1988, Pens fans have grown accustomed to cheering on scoring champions. And, with Sidney Crosby once again pacing the circuit in points, the locals may soon celebrate a 15th Art Ross Trophy. Indeed, producing 65 points in only 45 contests, Sid has started to separate himself from the pack in terms of scoring. What's more he's showing no sign of slowing down, registering 11 goals and 18 assists in the Pens' last 17 games. Crosby's return to prominence as the NHL's marquee attraction and most dominant player serves to further the Pens' position as one of the most entertaining squads in the league. Sid alone is likely worth the price of admission for most but, when you add in Evgeni Malkin, Chris Kunitz, James Neal et al, fans are nearly guaranteed to witness something special on an almost nightly basis. The legendary Scotty Bowman theorized that, in order to be considered true Cup contender, a club's penalty killing and power play ranking should add up to no more than ten. The Pens' number to this point in the season? Three. The Penguins' potent power play currently paces the league, clicking at 25.7%. With the likes of Crosby, Malkin, Kunitz, Neal, Matt Niskanen and Kris Letang, the squad's man advantage oozes skill that few can match. With the unit flinging pucks around the offensive zone with pinpoint accuracy until someone finally unleashes a bomb or connects for a back door layup, opponents have to pick their poison when short handed against the Pens. As a result, Pittsburgh possesses what may well be the most feared power play on the circuit. The penalty killing unit isn't far behind. Ranked second (88.8%) in the NHL, the group is nearly automatic when it comes to neutralizing opposing power plays. Despite the loss of key contributors in recent years (Matt Cooke and Jordan Staal, for example), the Pens' PK hasn't missed a beat. Regardless of who suits up, the club remains consistently stingy as the season progresses. Given Pittsburgh's exemplary special teams and the club's place in the standings, it's hard to argue with Bowman's theory. Only a few months ago, there was no guarantee that Dan Bylsma would return behind the Penguins bench for the 2013-'14 campaign. 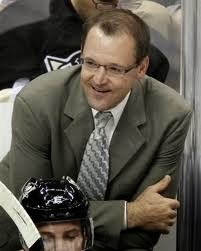 Following another disastrous exodus from the postseason, more than a few individuals called for Bylsma's head. Luckily for the team and its supporters, though, Ray Shero stayed the course and held on to his Stanley Cup winning coach. For his part, Bylsma (who became the Penguins' all-time wins leader on Tuesday night) responded with an effort that, thus far, some deem worthy of a second Jack Adams Award. With the assistance of Jacques Martin, Bylsma and his staff revamped the club's defensive system, making life easier on the oft-maligned Marc-Andre Fleury. The goaltender has responded with inspired play, posting a respectable 2.27 GAA and .917 save percentage. 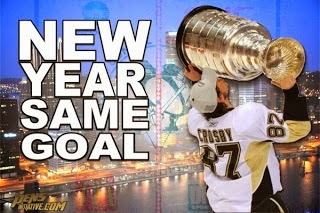 More importantly, Fleury's 25 wins lead the league. Most impressive, however, has been Bylsma's guidance through the obscene injury bug the Penguins continue to battle through. Because, despite the fact the club continues to lead the league in man games lost to injury, Pittsburgh keeps rolling. Whether they're missing Evgeni Malkin, James Neal or, well, the squad's top-four defensemen, "Disco Dan" always has the team prepared to march on. Time will tell if that success carries over into the postseason. After all, this isn't the NBA where employing the game's best player virtually stamps a ticket to the Finals. No, in the NHL a hot goaltender or significant injury can derail a promising season in the blink of an eye. But this Penguins' team finds itself in the midst of an incredible season, full of excitement, improbable performances and endless storylines. So, before preparing to judge the 2013-'14 Pittsburgh Penguins based solely on their postseason performance, sit back, sneak a couple of cookies and enjoy the show they continue to put on.